(1) What’s your background and how did that bring you to where you are now in your professional life? Keep in mind also Pat, to be aware of what’s in your best interest to have other potential clients know about you? Bert: Another thing also; be aware of mentioning what’s beneficial for this group to know about you as you describe your background. Pat: Okay. 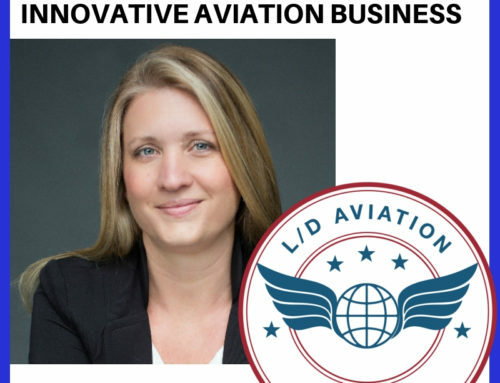 I’m the director of marketing for C&L Aviation Group. Our home base is here in Bangor, Maine. And what actually led me here is a different sort of story. I don’t come from aviation, which seems to be the typical route for this sort of position. My background is in media. I spent about a decade working with the largest print and online media company here in the state of Maine. Media was an interesting place to start because it’s always changing. I actually started in the traditional print end of the business and was one of the first people to start working on digital marketing because I realized that we were about as far as we could go with print. It was time to start thinking about online and online communities and social media. I got really excited knowing how you can use online to target people who are interested in your message; really being able to connect the things that we did well with the people that were really interested in those kind of things. That’s one of the things that actually helped us reach a larger audience. We were able to go statewide in Maine with our news coverage online and really develop a community around that. We did that through focusing on the blogger community and a network of story- writers in that community, plus our own history and expertise. So that was a really fascinating thing for me to do. Bert: So how long have you been with C&L? Pat: I’ve been with C&L a little over a month. One of the last things I did for the media community was to help them develop an events division, realizing that producing live events was an effective way to market rather than trying to push our weight around with expensive sponsorships. We started producing our own events so we could get exposure of the brand to a new market, rather than spending a lot of marketing dollars, trying to convert it into a revenue stream. Bert: What triggered your interest and segue into aviation from media? Pat: It really started with my doing some non-profit stuff for a little while. But I’ve always been interested in this field and what happens in aviation. I actually live in Bangor where this office is located and it’s a relatively small community, about 33,000 people. C&L over the last several years has become one of the darlings of this community because of the exceptional growth that’s happened here. They’ve also brought jobs to the community. So they’ve been on my radar as an up and coming company in this area. I started with a conversation with the CEO. We had some synergies with the way we were thinking. This is a company that likes to take a different approach to marketing, and a different approach to working with people. They were looking to do things that aren’t necessarily traditional. My background is working with different audiences, and creating valuable content to make people interested in who we are, rather than pound them over the head with advertising. It’s been a good fit so far and that’s what really makes it different from how a lot of people get into this industry. Others usually have an extensive aviation background and they try to pick up the marketing as they go along whereas I’m coming at it from the opposite angle. (2) How would we spot the ideal customer for you or your company? Pat: I always like to start with the theory of creating your business avatar. And when I say that, it’s really trying to identify exactly who that customer is but going a step farther than that, and giving them a name and thinking about that person like all of your efforts are actually targeted to one individual. I’ll give you an example and this is just off the top of my head. But if we were to say our average customer or our ideal customer is someone who is 55, they’re a CEO, they make x amount a year, and they live in this region. But I think you have to take it another step farther and you think about, how many kids do they have? How old are their kids? Are they married? Do they own a home? Do they own a summer home? Where do they vacation? What are their pain points? What keeps them up at night? These are very important questions. And, I think once you can identify what all of those things are, you name that person. This person becomes Phil or Chuck or Sarah or something like that. Then when you’re going to create your content or create your marketing materials you think about it like, how would I talk to Phil or Chuck? How do I write this so not only do they read it, but they understand why this is valuable to them. Bert: Would there be anything more specific about your ideal customer in your case and also in C&L’s case? Pat: In our case the ideal customer for us is really the person who’s going to receive the most benefit from the things that we specialize in. 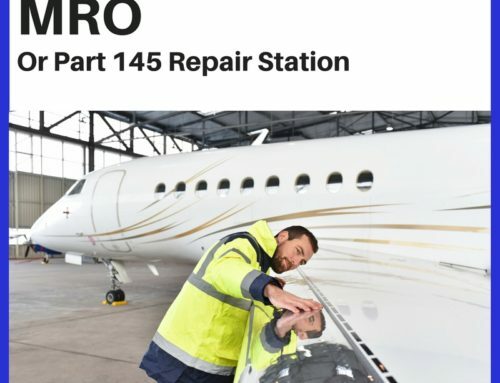 For example, what we do here that helps set us apart is that we often consider ourselves a one-stop solution for people needing an MRO or a few other things. So we’ve developed some synergies here between what we can do as far as heavy maintenance and parts. We also have the largest paint facility on the East Coast. So people can bring work to us and we can often turn that around for them faster, and in a lot of cases, less expensively than others can. Obviously we have our regional partners, the regional corporate partners in this area that want to work with us because they don’t have to transport their aircraft quite as far. They also don’t have quite as much down time. But we can certainly extend it beyond that as well to people that are looking for those synergies. Bert: Do you target charter, management companies, fractionals, nothing like that or something like that? Pat: We actually do some of that ourselves. We have sister companies called SevenJet and SevenJet Private Travel, which we recently launched. They are based out of Salt Lake City and Pensacola, Florida area where we operate a fleet of and where we, so we’ve got some. We have a charter aircraft management service as well. We really run the whole gamut. (3) How would I best describe your or your company’s unique benefits approach, product services and value proposition? Pat: I just touched on what makes us unique, in that we can really do a lot of different things for people. We’re often described by our customers as being incredibly reliable, and dependable. Typically when we’re quoting MRO services, or a lot of those other things, what we quote is what actually gets done. I think some of our customers don’t always have those kind of positive experiences and they get told yes, and exceptions end up getting made. We don’t really have a lot of those issues so that’s really what helps set us apart. Our customers have learned what to expect from us. It’s that reliability, that dependability that helps set us apart. Bert: Is there a certain cultural, how should I say it, reliability or accountability or trust that you offer to companies because of your location and because, of a kind of a social identity because Maine is seen as a little bit off the radar especially in comparison to the west coast mentality? When I flew for Netjets, I used to fly into your area and there seemed to be a certain kind of down home dependability that the state represents. Pat: Yeah, I’m glad you brought that up because it’s something I hadn’t really thought to mention. Maine and Maine people in general are known as being very reliable, very down to earth, and very hard working. 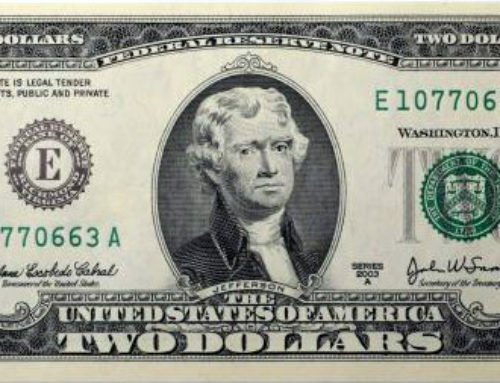 It’s something that is a real value and a real asset. People in this area appreciate having a good job and they work very hard to do a good job. Our CEO is Australian by birth and that Maine work ethic is one of the reasons that he decided to put the headquarters here in Bangor. When I meet people from here I realize that, from just an employee asset point of view this was just an incredible place to be. Frankly it’s one of the things that help to distinguish us from other workforces out there. Bert: When I went to your website and I heard and saw your CEO talk I saw that he was a relatively young guy. I thought it was interesting that he was from Australia and he finds himself in Maine. Bert: That’s an incredible resource that you guys have, the uniqueness of the owner of the company and being able to build on that. I do a lot of work with aviation companies as an aviation copywriter and I like to bring out the personal aspect of the business and show the face and build the personality of the company. That really builds the know, like, and trust factor for a company which then shortens the time from initial contact to actually doing business. Pat: Absolutely. We have staff all over the globe, and most of them reside In the Bangor area. But a lot of folks have moved to this area from far away, because we have decades of industry experience. And if you haven’t visited a part of Maine or Maine in general where we are, we just live in an absolutely gorgeous part of the country. We have a full four seasons here. We’ve also got Acadia National Park, one of the most visited National Parks in the country, about 40 minutes from here. It’s a really beautiful piece of earth right around here. Not only do we have kind of the people that are born and bred in this region who work hard for us but we also have a lot of folks from other areas who work for us and have fallen in love with the region. Bert: I know when I used to fly in there with Netjets I was always looking out the window and I would ask ATC for a lower altitude so I could see the beautiful countryside! Pat: Yes. Especially if you’re flying up the Maine coast and you’re going to be landing in Bangor you really see just a beautiful section of the state. Bert: Yes. Have you exhausted that last question as far as your benefits approach? The Products, services and value proposition? 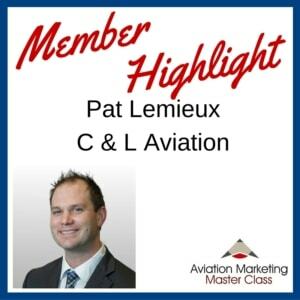 Pat: I think the only thing I would add: One of the things that we do try to do with our marketing collateral and our sales approach is to continue to further the message that we really are a one stop solution and that very well could justify bringing an aircraft to Maine. Once you get here you realize that we absolutely take great care of your aircraft and we do it in a responsible fashion. It’s not only efficient but it’s incredibly safe and that’s certainly one of the things we pride ourselves on. (4) What might prospects say to trigger me to know what they need to be referred to you or your company? 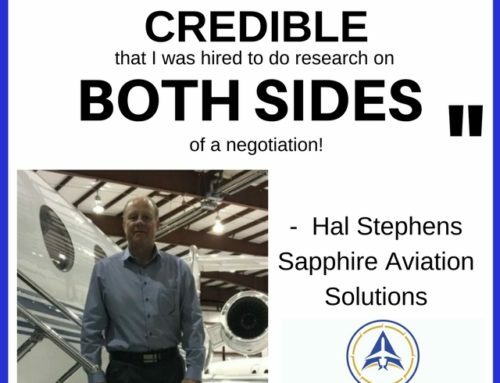 Pat: We specialize in CRJ, Saab, ERJ and Dash 8 aircraft, If you need more than one thing done in the process of buying an aircraft, we provide inspections, parts, paint, interior work. People can get 360 degrees of service dealing with us. Bert: Right. It’s interesting because I find it difficult to stay away from what attracted your CEO to come to Maine and what his background and expertise was and why it was so compelling for him to be there. But I’m not going to go there. I’m just saying that to you because I’m a people kind of guy and I love those kinds of stories. Pat: Well, this is not an LA or a New York or a major metro market; this is a small rural area for the most part that can help keep down energy costs. And there’s a lot of retail space here for this company to grow. I’ve mentioned earlier that our paint hangar is 20,000 square feet. We can do three different planes at once in that facility. And we can continue to expand as we continue to grow. There’s room here for us, so that message of us being a one stop solution as we grow can only get better. We wouldn’t need to move to other locations to maintain all of our services because there is room here. (5) What’s your marketing process once you recieve a referral? Pat: Because we have so much to offer, that can really be answered in a whole host of different ways. Luckily we’re a small enough company where our prospects only need one or two points of contact with us to get what they need done. Then we can take care of the rest on the back end as we grow. One of the things that we’re working on is to make sure we’ve got people internally looking for those synergies. So as parts need to be moved around the globe, and we need to get maintenance done we can coordinate all of that. And without the client on the other end needing to deal with 10-15 different people, we keep it to a very personable approach. And that works well for us. As for the marketing piece, again I think one of the reasons I was brought on is because of my content background. Once you develop a relationship with somebody, that’s where the trust factor is. I don’t think you need to advertise to people all the time. I think you just need to keep them informed. That doesn’t need to be gimmicky or markety or any of the buzz words that you hear out there. It just comes down to providing really good resources and content and dependable service to people. And that can be done through face-to-face, phone calls, email. We can really leverage all of that to keep our customers very happy. Bert: Yes. I was listening to something else today on the radio and essentially it was what you just said; that people want to be included, they want to be communicated to and especially as I have mentioned to some of my clients, that’s especially so in a world in which we are very disconnected. Especially compared to maybe 20 or 30 years ago. People are, in most cases, desperate to be included and to be communicated to. It’s not brain surgery. All you have to do is be consistent with your message. And not as you mention, not salesy, but just inclusive. And that goes a long way to attracting and retaining your customers. Pat: Absolutely. It’s the kind of stuff where I’ll look at our sister company, Seven Jet and the private travel side of things. We could spend all day marketing charter services on one hand, and fractional ownership on another. And spend boat-loads of money to do that, and to gain customers that way. I’m not saying that doesn’t work. But to me, what makes a lot more sense is writing something and explaining to people when is it time to maybe stop booking so much charter and start thinking about shared ownership. And what’s the next evolution? What are the pro’s and con’s of each of those models? Write that up and explain to people why they might want to consider one path over another. Pat: And that’s what people want. Bert: Yes. And that trust is just an extension of your inclusion of them in your message and your on-going communication with them. (6) What do you like about the Master Class? I know you’re new to it, and probably haven’t engaged much there, but what you have seen, how do you think that’ll benefit you and what do you like about it? Pat: I think that social media has made for a lot of really great tools and resources for people in professional sense, i.e. closed LinkedIn groups, closed Facebook groups, master classes, that sort of thing. I’ve been part of few of those in the past, some had to with media, some with non-profits, some just as kind of a group of people that we’re all just kind of trying to hustle each other around to make sure we don’t fall asleep at the wheel. I think what’s nice about this class and a lot of other courses and classes fall into this category is that it keeps you paying attention to what else is going on and it keeps you thinking. Nobody wants to do the same thing over and over again. It’s great to see what others are doing, what they’re trying. It’s nice to be in an environment where you can not only share success stories but you can get feedback on why something didn’t work so well. Then you talk to somebody and they say why don’t you pivot this way or why don’t you try this or do it this way or why did you use this creative instead of this? Why didn’t you market that particular thing to this group? You can’t be an island unto yourself, in any industry but particularly in this industry where there’s so much information that you could miss. This class helps with that. Bert: Well said. That pretty much wraps it up. It was great to work with you Pat. Pat: Yeah, it’s been good, thank you.